Tempe house cleaning specializes in residential and commercial cleaning services. Our main keywords are affordability, quality and dependability. Entrust your cleaning tasks to us, whether small or large projects. Tempe house cleaning continuously strives to provide more than satisfactory services to make our clients smile! We are Tempe’s leading cleaning company. We use different cleaning products and equipment for different surfaces such as granite, hardwood, stone, laminate and more. Tempe House Cleaning provides services via our cleaners who have formal cleaning training and continuously strive to better our craft. – Home cleaning via our domestic worker trained for specific and detailed cleaning tasks for the home. Tempe house cleaning accepts equipment rentals as well, if there is also a housekeeper in your home. – Stay in housekeepers are also available through Tempe house cleaning which also acts as an agency. Our company does background checks and only refer the most experienced and reliable housekeepers. – Party service clean up, we make sure that the place is ready and pristine for your upcoming special event. Then when the party is over we come in and take care of the rest – available through Tempe house cleaning! – Window Washing is another service we provide using all necessary equipment cleaning materials/solutions. We can clean your windows inside and out, including window sills, screens and tracks. – Wall washing is another service we can take care of. We are experienced and trained in cleaning walls home and at commercial buildings. We will take care of the equipment and supplies needed. – Carpet Cleaning at its finest is one of our in demand services. We provide professional domestic carpet cleaning, including all equipment needed and labor. – Hauling is one of our latest additions to our already comprehensive service list. We are now accepting hauling tasks like junk and garbage removal. With Tempe House Cleaning, you don’t need to look for different cleaning services providers. We are already your one-stop shop for all cleaning needs. Looking at scheduling every once in awhile and not consistent? Would you like to get great prices on house cleaning? 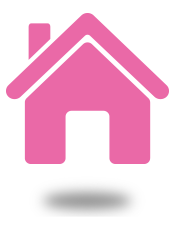 Check out the deals you get on house cleaning when you purchase a Pretty In Pink House Cleaning Membership for one year. Prices start at $85 for a house cleaning. Learn more here. For all Tempe homes and business establishment cleaning needs, you can reach us via our contact us form or give us a call at 602-909-7002. We also service other surrounding cities such as Chandler, Mesa, Gilbert, Ahwatukee, and Phoenix.